If you want to see an Oscar nominated film and meet and hear the director talk about it FOR FREE, get your tickets for this event which is taking place tomorrow at Oxford Brookes University. 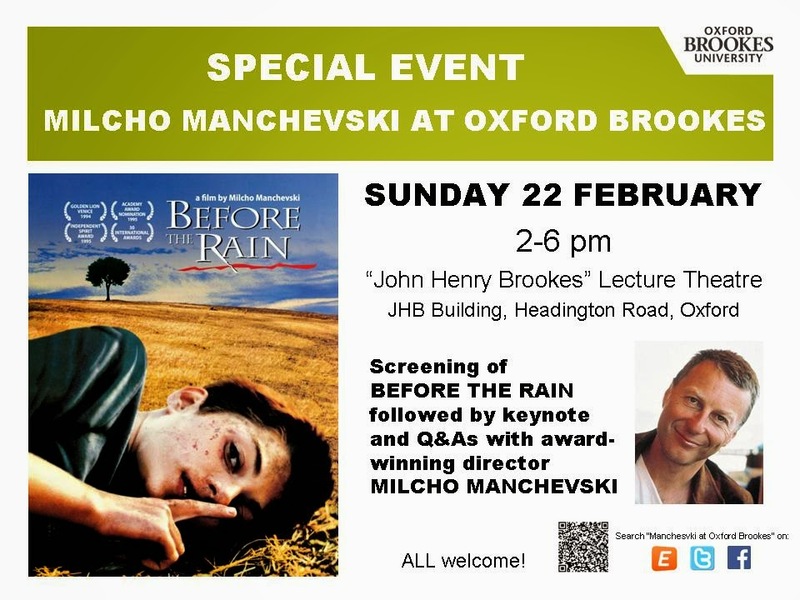 The film is Before the Rain and the director Milcho Manchevski and it's all happening Sunday 22nd February from 2-6pm. You can read more about the event here.